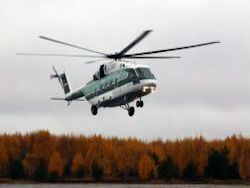 The holding «Helicopters of Russia» transferred the first party from four upgraded Mi-8AMTSh helicopters to the Ministry of Defence of Russia, the holding press service reported on Monday. 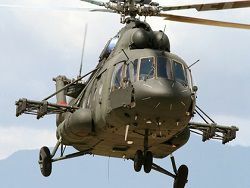 The long-term state contract for delivery of the upgraded Mi-8AMTSh helicopters was signed in Ulan-Ude in August, 2013 and provides delivery of unique cars – the first serial party with the improved resource indicators allowing, including, to save considerable means on service during life cycle of the helicopter, writes RIA Novosti news agency. 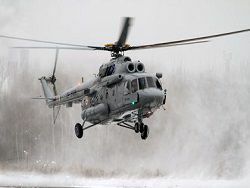 "Holding" Helicopters of Russia» transferred the first party of the upgraded military transport Mi-8AMTSh helicopters to the Ministry of Defence of Russia. 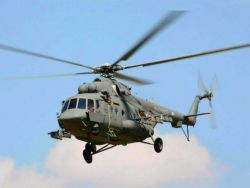 Four helicopters were constructed on Ulan-Ude Aviation Plant (U-UAZ) entering into holding, within state defense order performance», – is told in the message. By the Mi-8AMTSh helicopters transferred by the Ministry of Defence, engines of the increased capacity VK-2500 with the modernized (strengthened) transmission which provide objective control of the accounting of an operating time are established, and also do more effective use of the helicopter in highlands and areas with hot climate. 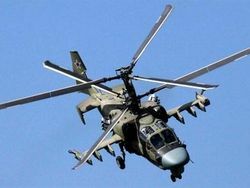 The helicopter is equipped with the new auxiliary TA-14 power plant with the increased altitude of start and power return, and also a modern complex of arms. 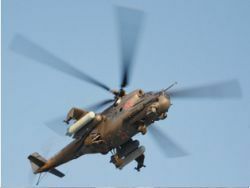 The facilitated ceramic-metal reservation with the increased area provides protection of crew and the vital units of the helicopter. Storage batteries of the increased power consumption increase time of independent work of electric equipment. 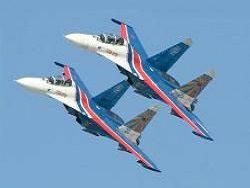 The latest flight navigation equipment provides performance of all range of fighting tasks facing helicopter.